"These snazzy remote-controlled vehicles will take the stress off some of our smallest patients"
A surgery, however small, can be daunting for any person. For young children, undergoing a medical procedure can be especially scary. To help ease the nerves, an American hospital is letting the tiny patients drive themselves to the surgery room in toy cars. 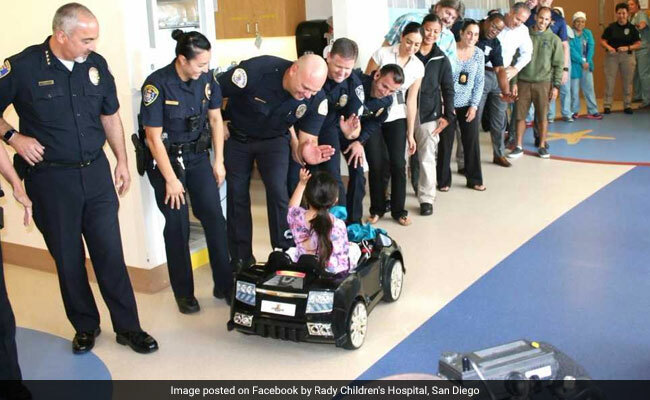 The cars were donated to the Rady Children's Hospital in San Diego, California by local law enforcement agencies as part of an annual initiative known as Teddy Bear Drive. As part of the campaign, officers visit the young patients in their wards to hand each of them a teddy bear and other gifts. 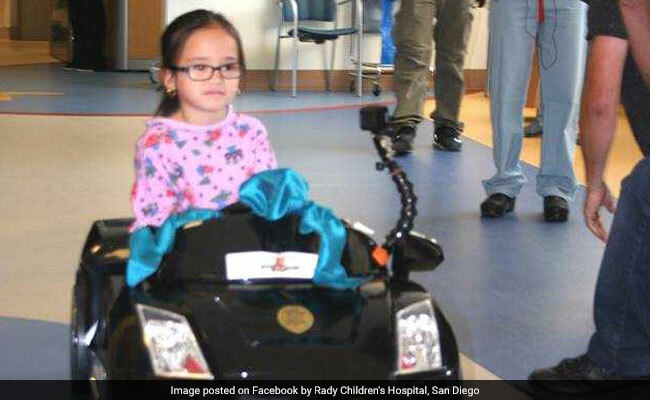 Photos posted on Facebook by the hospital showed a little girl being driven to the procedure room in one of the new remote-controlled cars as several officers waited in line to give her high-fives. "These snazzy remote-controlled vehicles will take the stress off some of our smallest patients as they prepare for routine surgical procedures," wrote the hospital on Facebook.